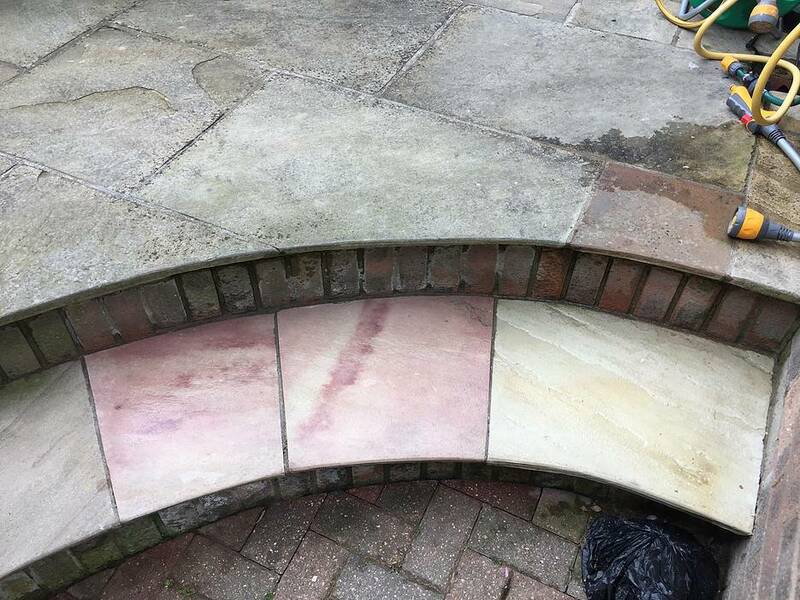 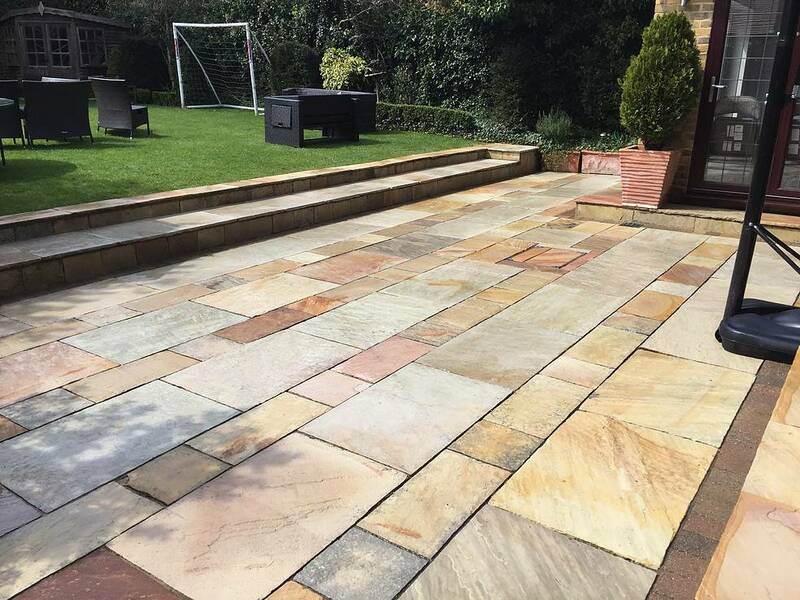 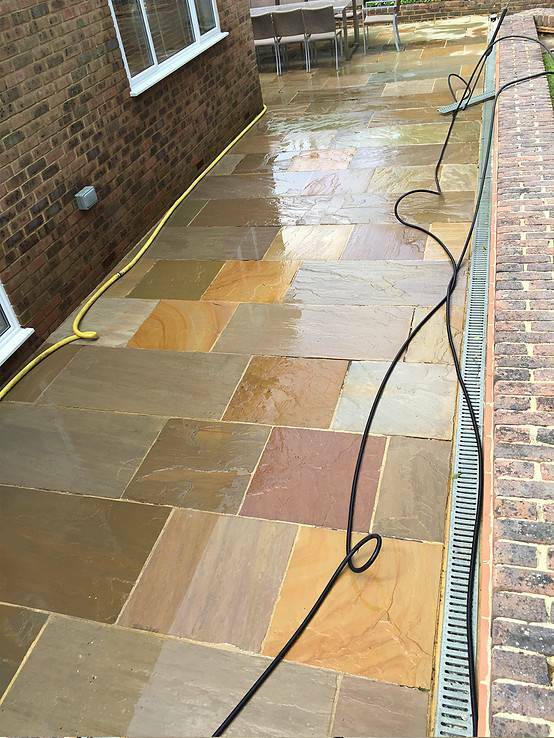 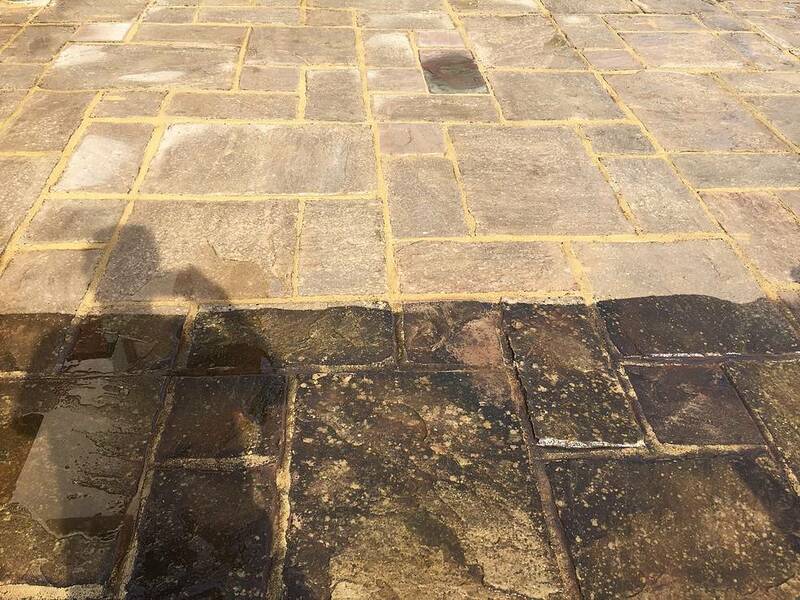 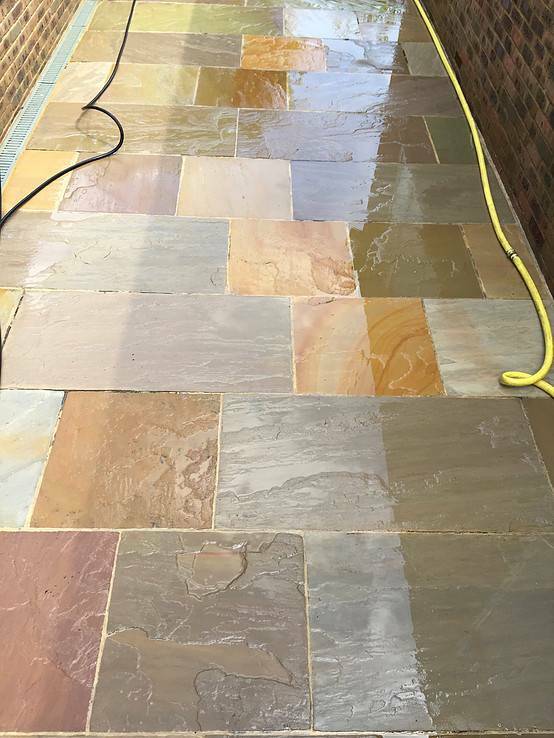 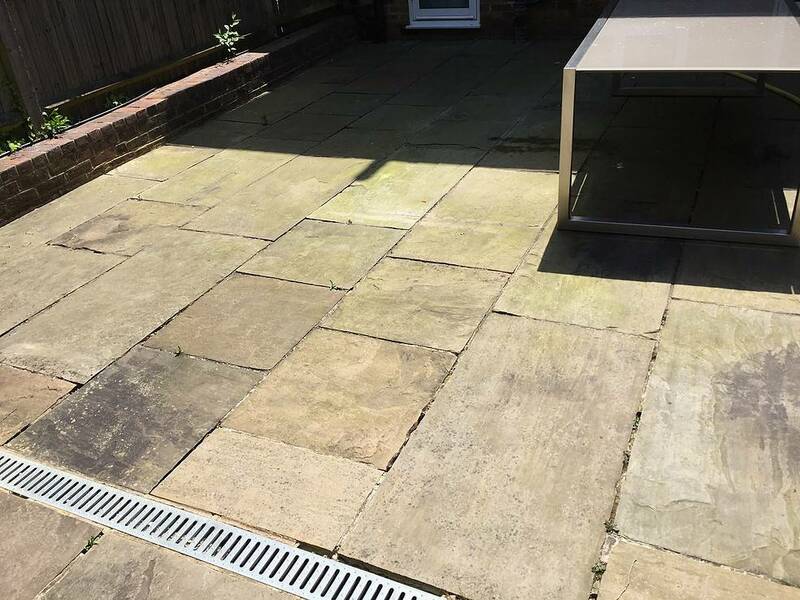 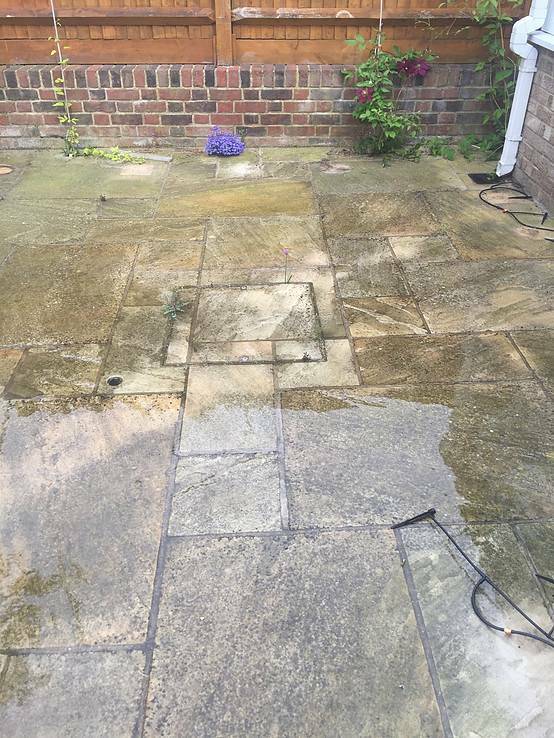 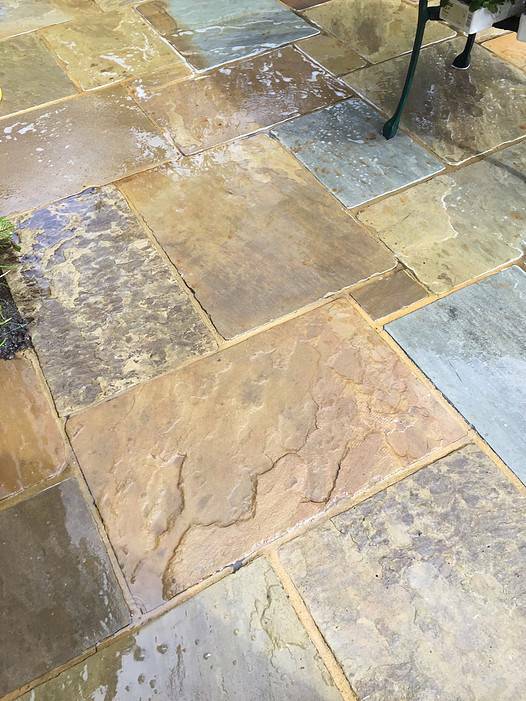 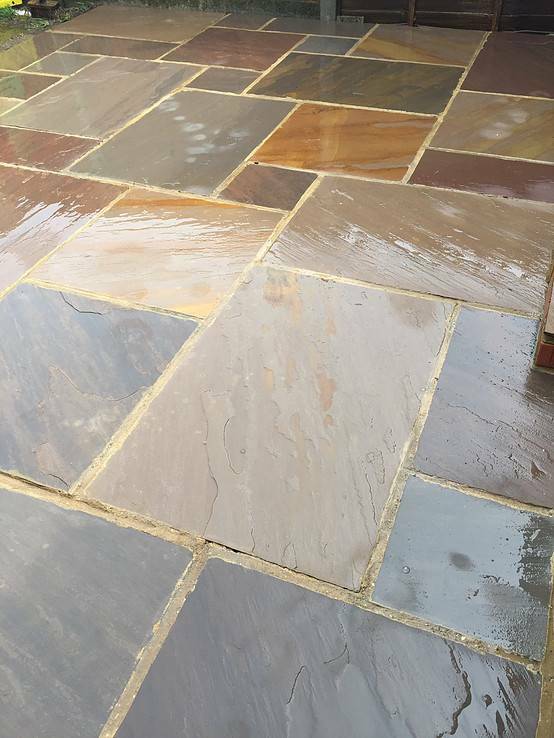 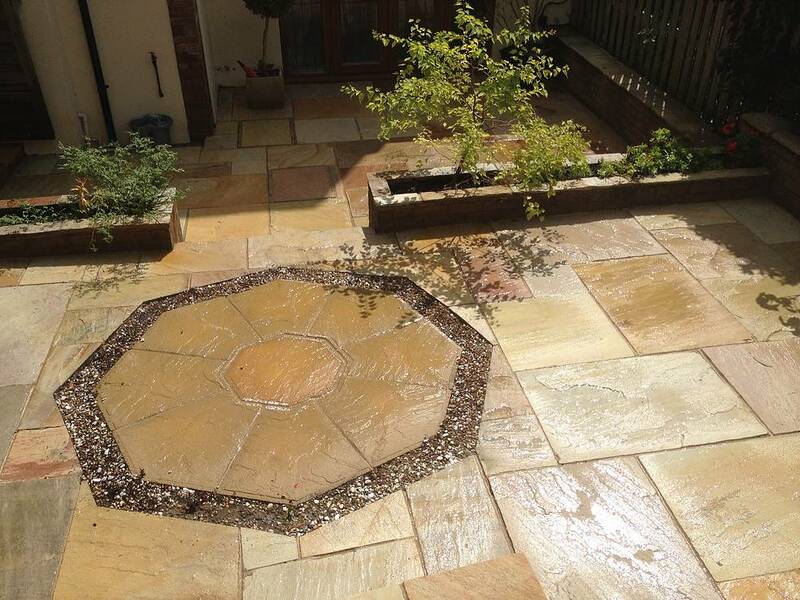 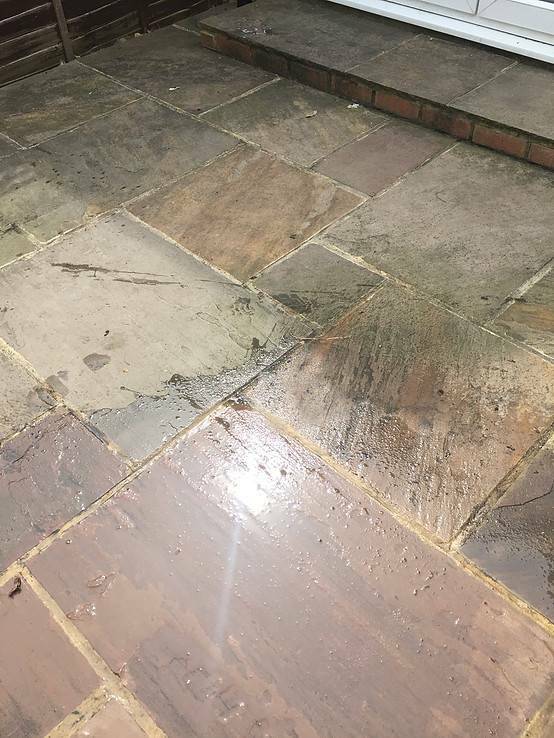 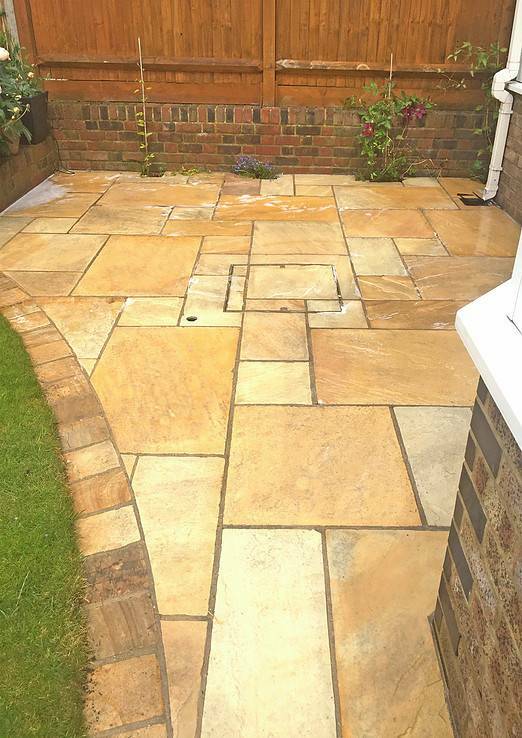 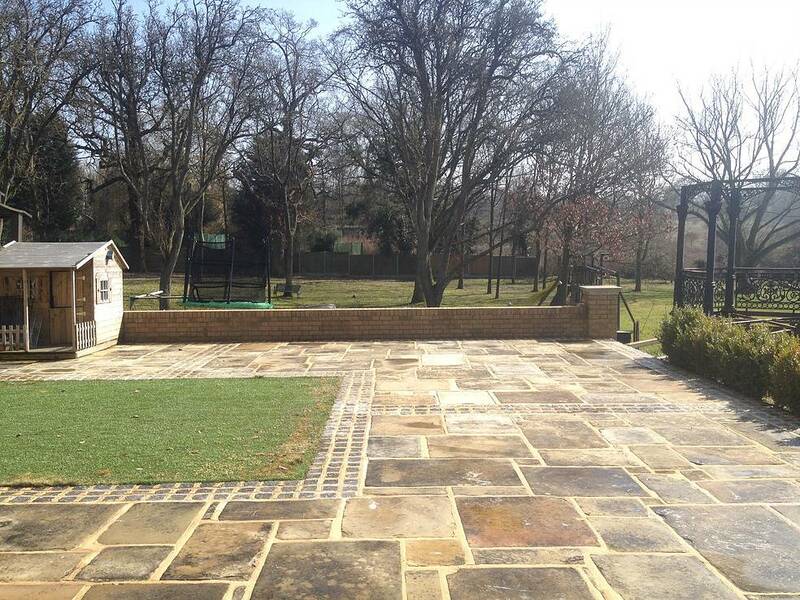 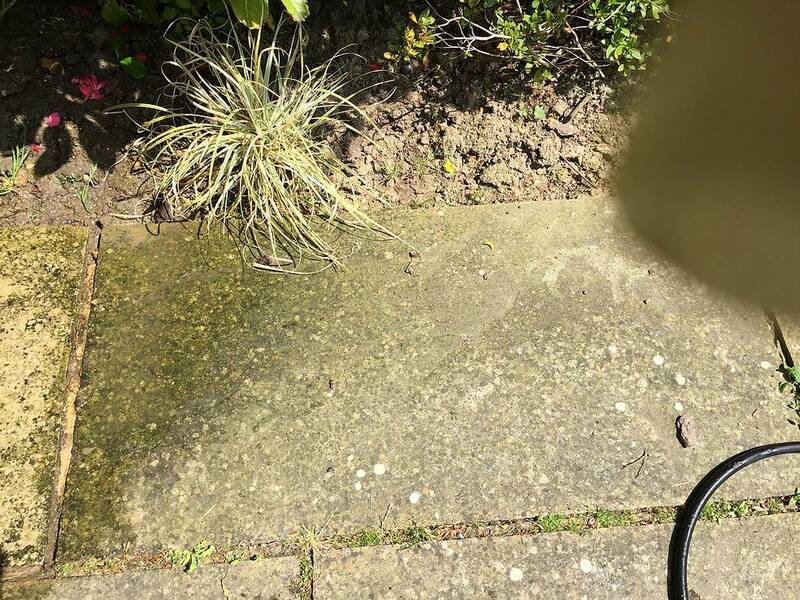 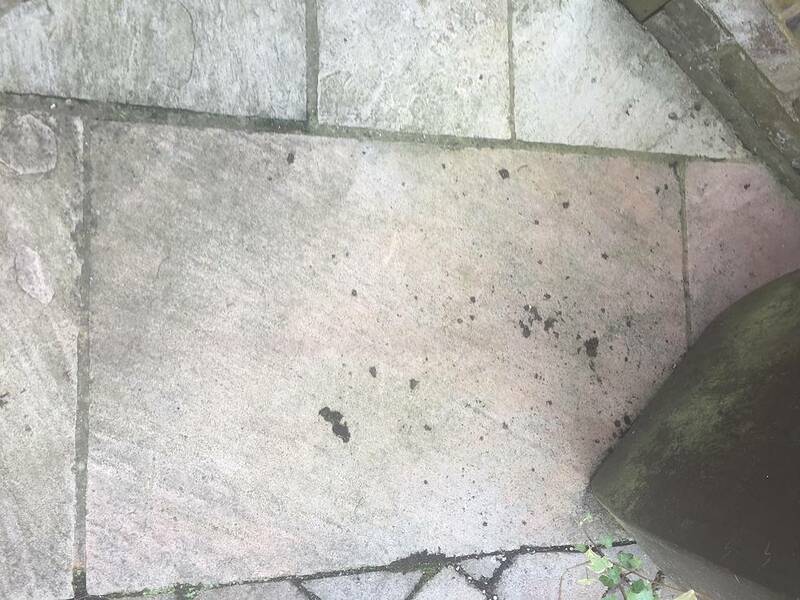 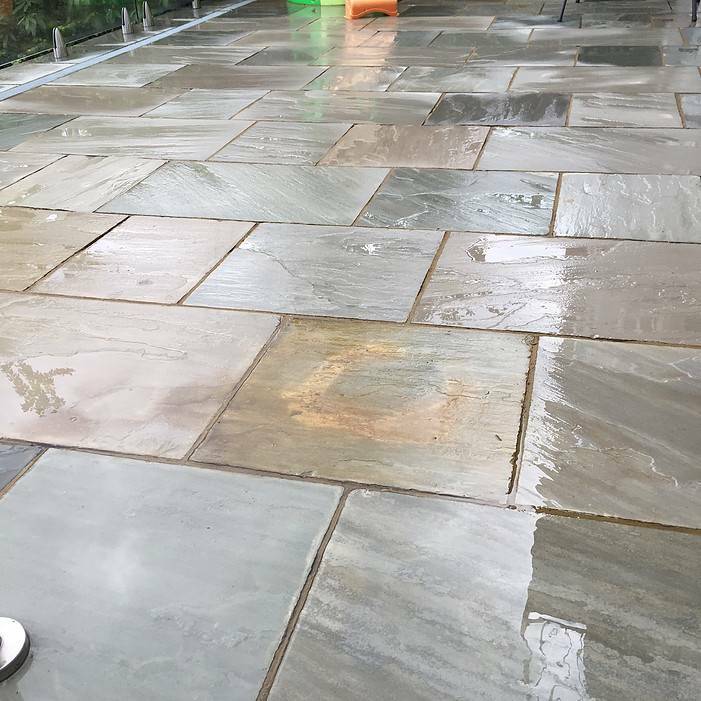 At Premier Clean we love sandstone, we love cleaning the stone and enjoy seeing the glowing colours emerge from under the dirt, litchens, moss and black spots. 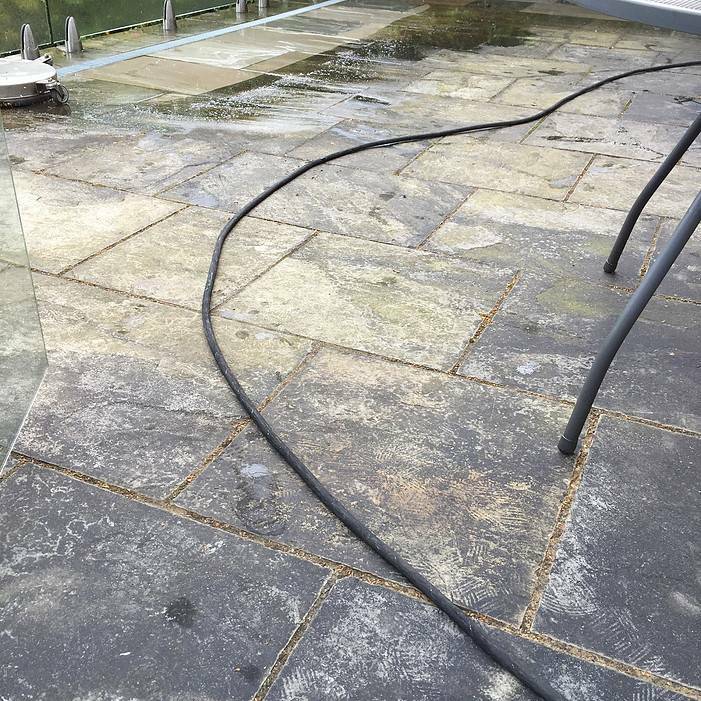 We believe we are one of the leading companies in the UK that specialise in cleaning this wonderful stone and we achieve spectacular results. 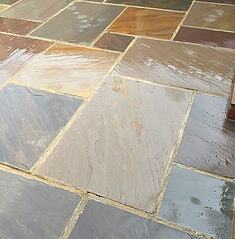 Being a soft porous stone, if not properly maintained the beauty of the stone deteriorates quickly and is soon infested with algea, moss, and litchen which rapidly turns to a dirty grey. 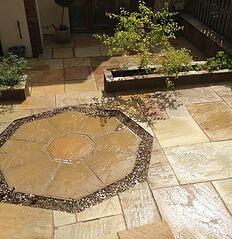 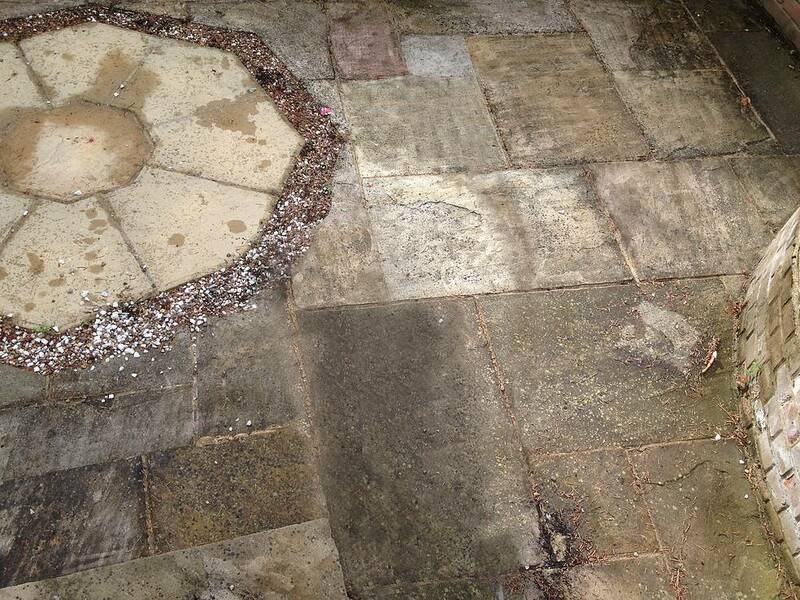 Cleaning this sandstone and getting it back to its former glory is a specialist task. 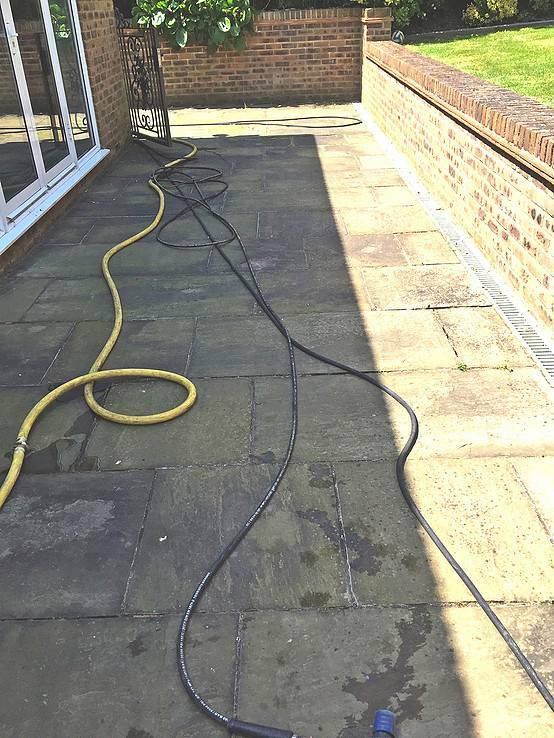 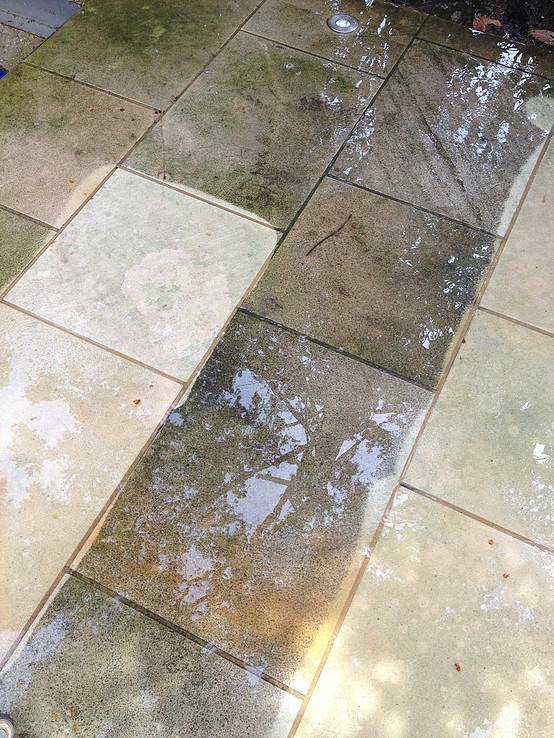 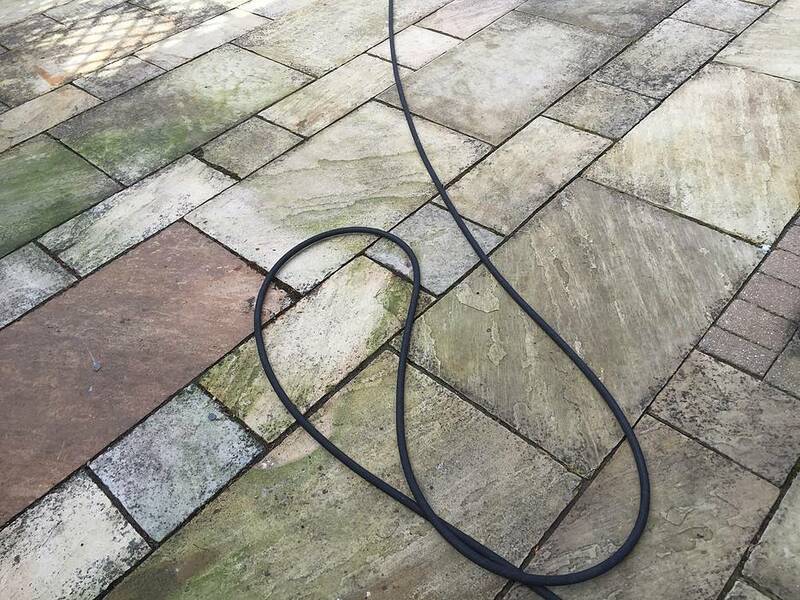 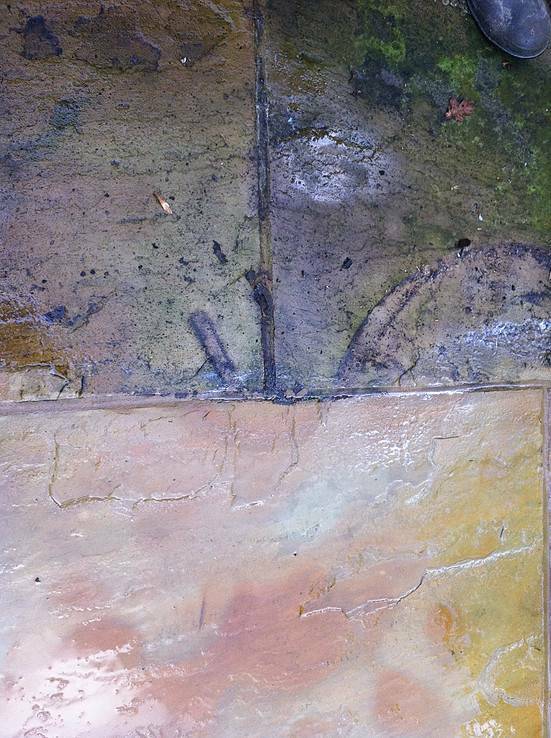 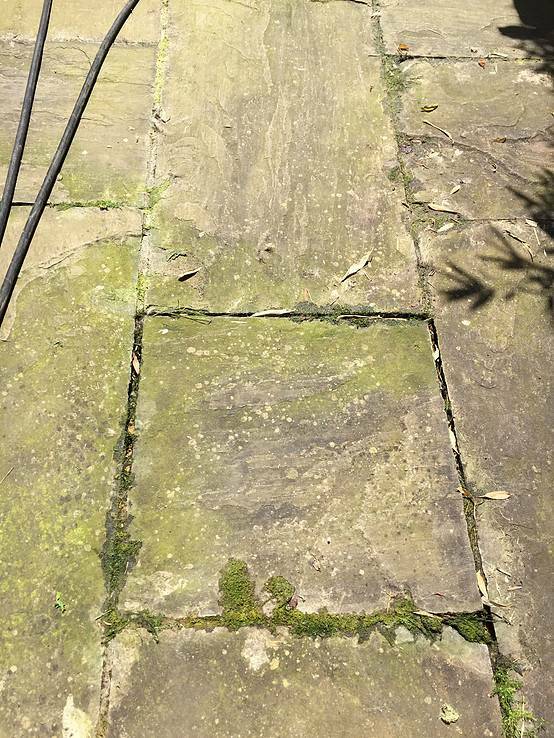 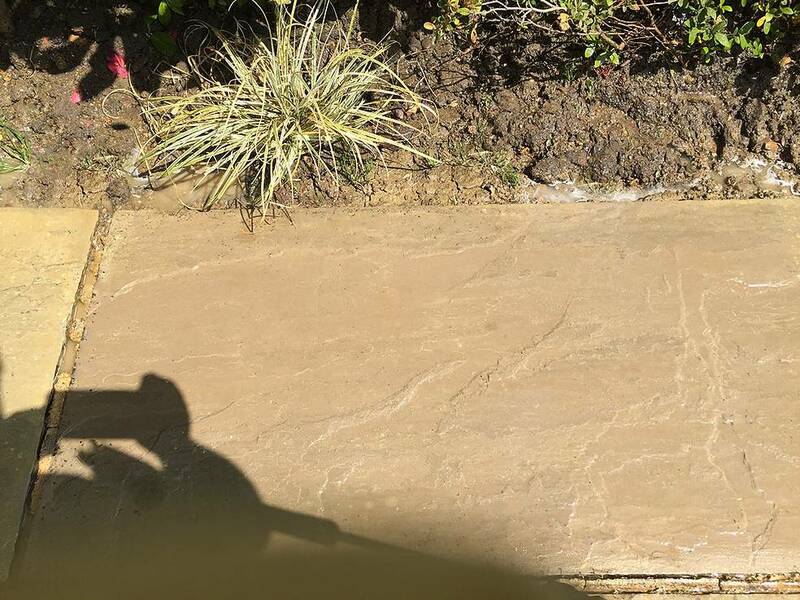 A home owner or gardener equipped with a diy electric pressure washer and off the shelf patio cleaners doesn’t stand a chance of cleaning the sandstone to a good standard. 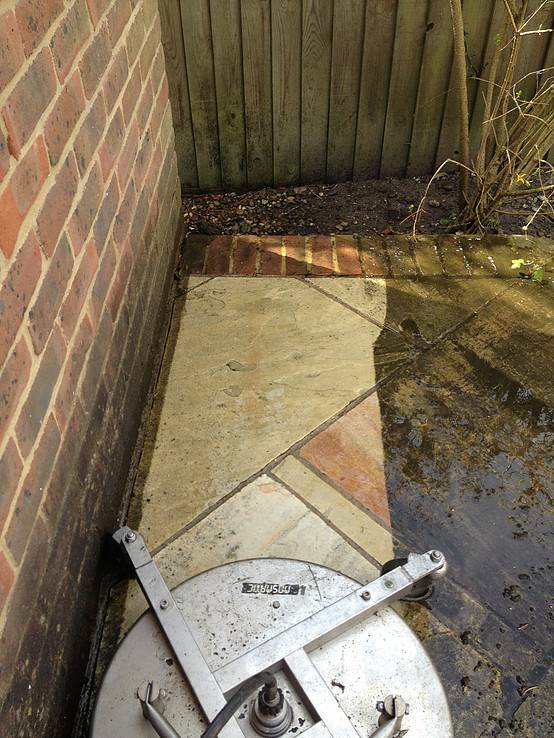 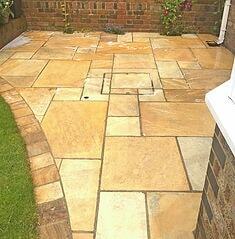 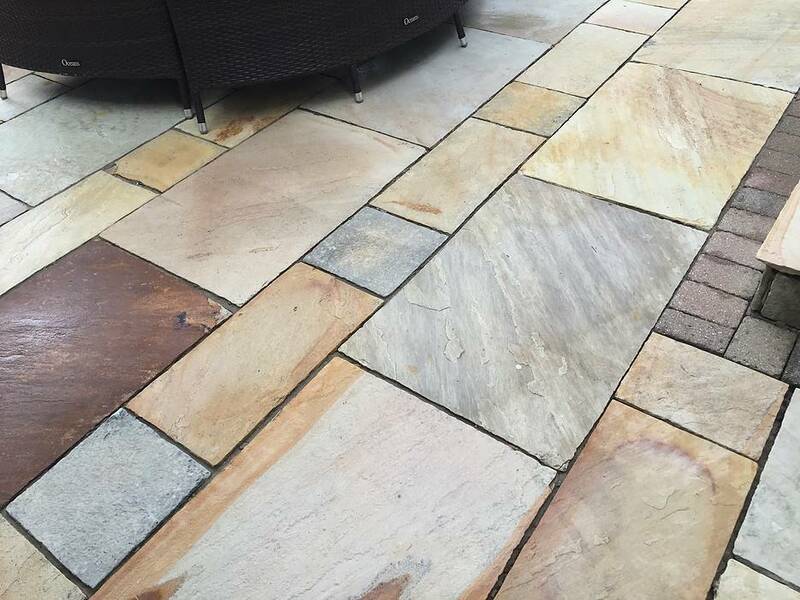 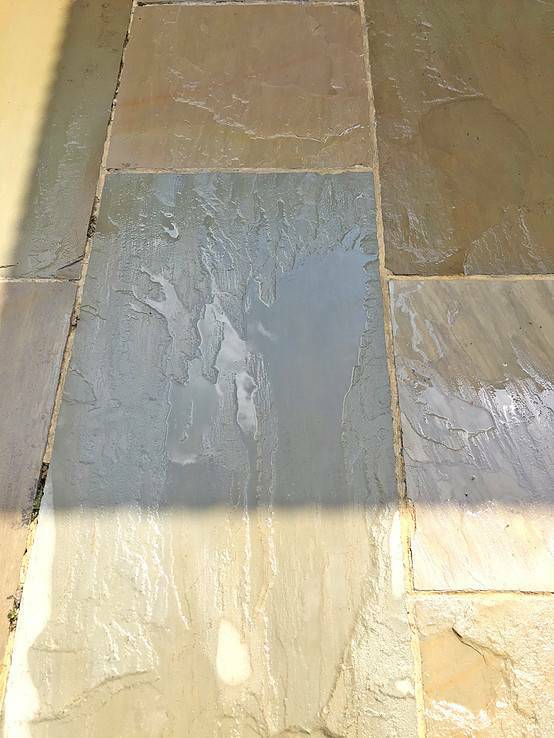 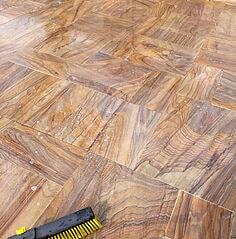 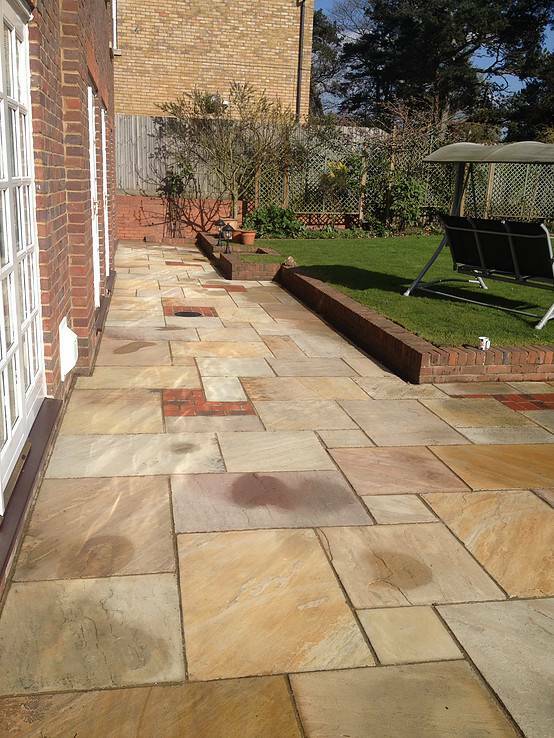 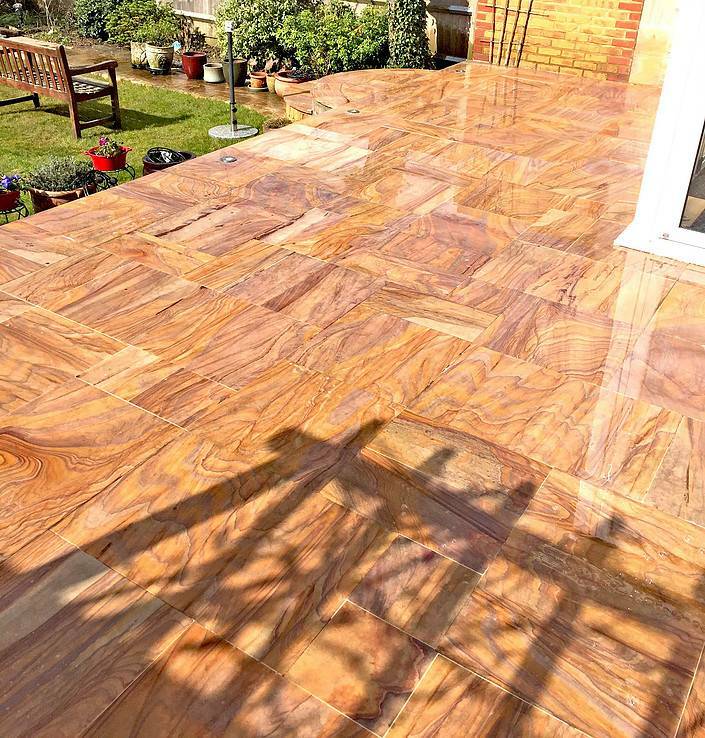 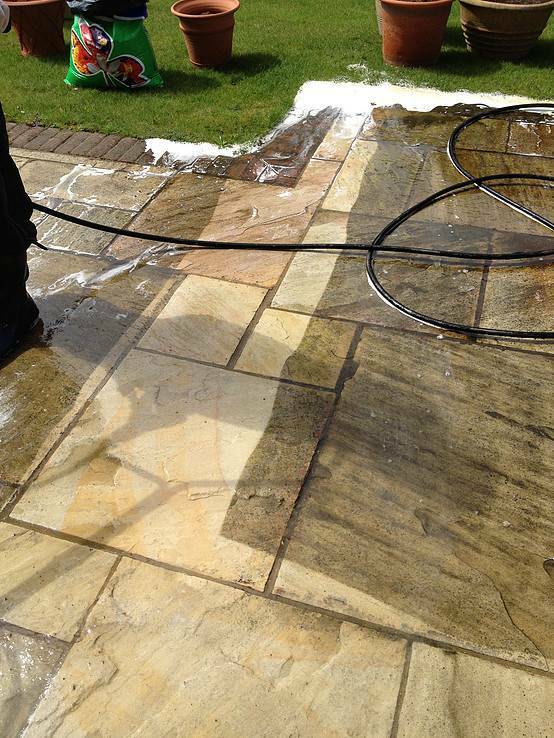 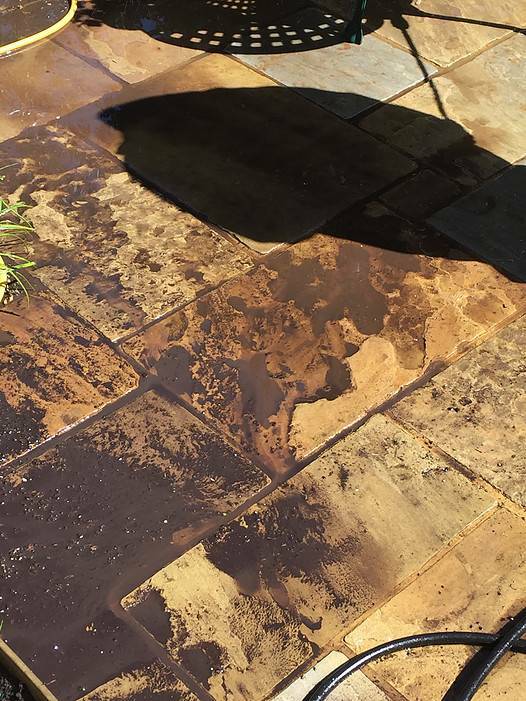 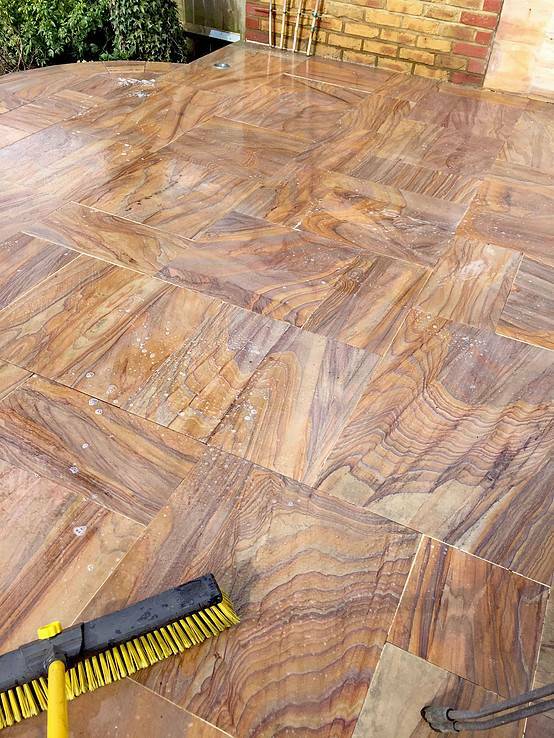 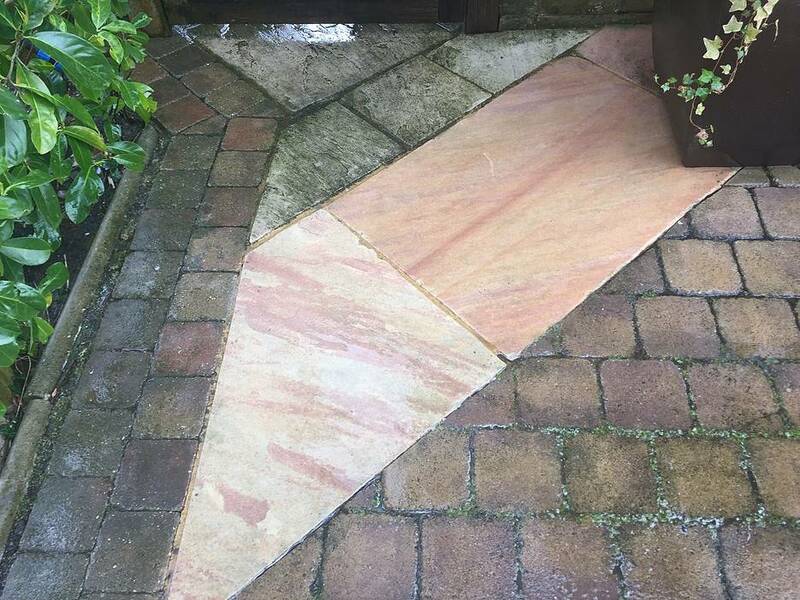 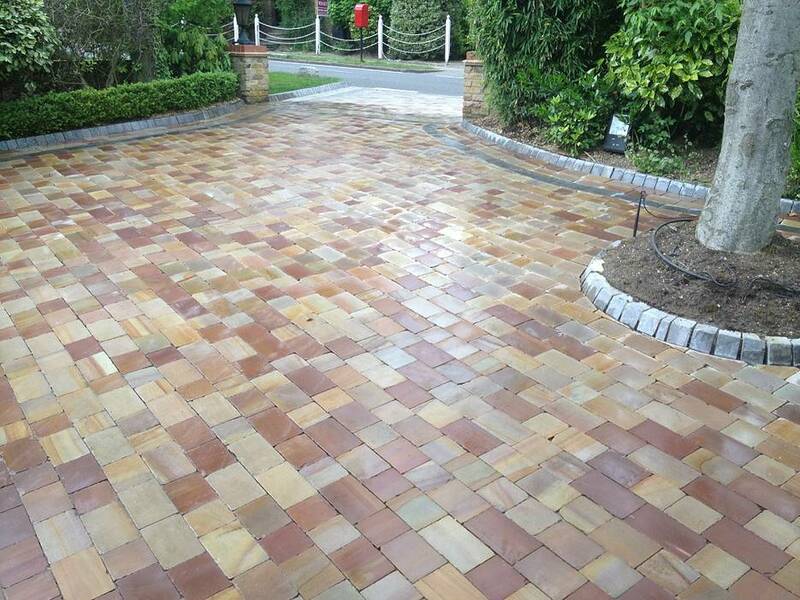 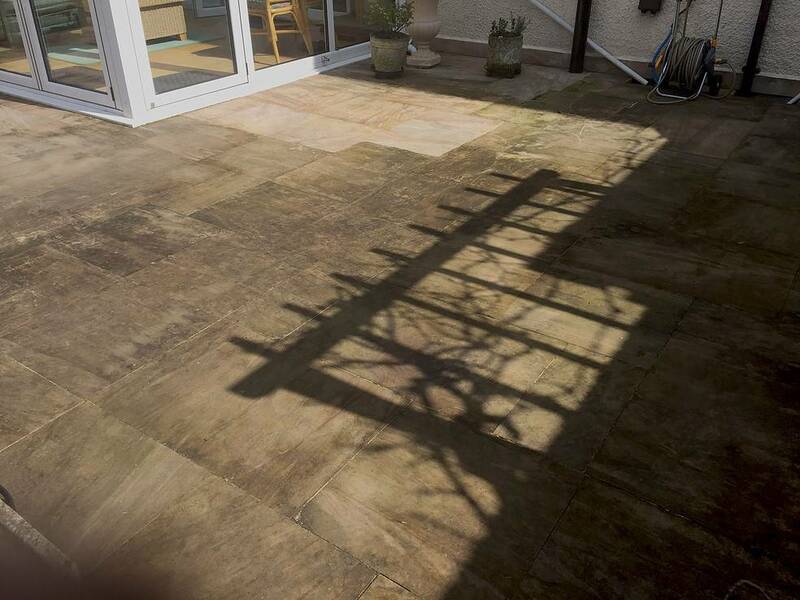 They will more than likely inflict irreversible damage to the surface and can even change the colour of the stone by the use of an incorrect patio cleaning product Premierclean have 16 years of experience cleaning sandstone/indian sandstone and have developed pressure washing, soft washing techniques, machinery and chemicals to fully renovate it to its original beauty.